The Avalo Difficult Airway Trolley. 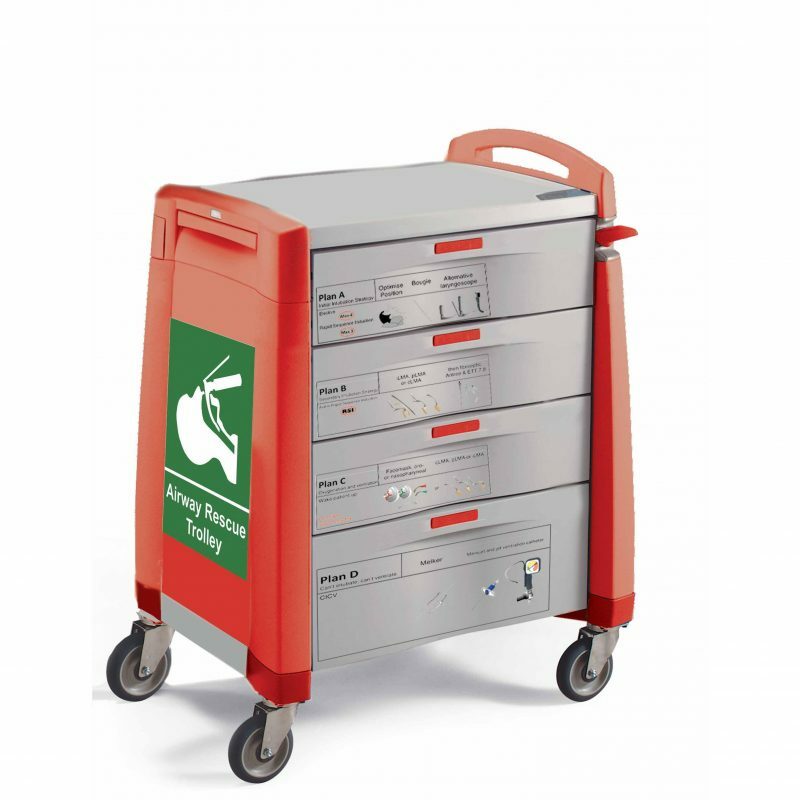 As with everything in the Avalo range, each trolley can be fully customised, with 4 or 5 drawer options available and a tamper-evident, quick access locking system. Each difficult airway trolley is supplied with drawer front labels that follow the latest DAS updated guidelines which were brought out at the end of 2015. These labels help clinical and non-clinical staff identify the correct procedure in a difficult airway or intubation situation. Finally, to top it off each Difficult Airway Trolley comes with a class leading 12 Year Warranty. For more information call our Customer Service Team on Freephone: 0800 525 076 or CLICK LIVE CHAT to speak to one of our experts.